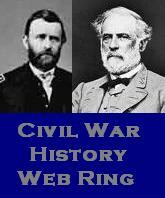 Civil War History-this site is dedicated to the history of the American Civil War (1861-1865), including the events that led up to the war. Frontier Battles-this site explores the military and general history of the United States and Canada from 1607-1815 and focuses on the French and Indian War and American Revolution. 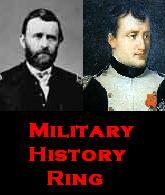 MHB is dedicated to educating people on military history. It will cover many areas, from ancient military to present times, but the primary focus will be on the US Army. The authors of MHB, Civil War History, and Frontier Battles include veterans, the spouses or children of veterans, active duty or reserve military (including guard), historians, or regular folks with an interest in the history of warfare and areas covered by the other sites. The staff combine their various levels of knowledge to present research and other information related to history. If you are interested in becoming an author of any of the blogs, please email Daniel Sauerwein with your name, email address, website address (if you have one), which blog(s) you would like to write for, and what areas of military history are you interested in or have knowledge in. Thank you for visiting MHB. We hope you enjoy your visit and hope you will direct your friends to our site.